March 2015 | Blankingship & Christiano, P.C. Tom Christiano is a credit lawyer in Leesburg who handles all facets of litigation for federal and state trials, including initial scheduling appearances, discovery motions, and jury trial preparations. Mr. Christiano received his Bachelor of Arts from the University of Virginia in 1993 and then went on to receive his Jurist Doctorate from the Marshall-Wythe School of Law at the College of William & Mary in 1999. Mr. Christiano is a licensed attorney in Virginia and Pennsylvania concentrating on credit law. Throughout his legal career, Mr. Christiano has been interested in consumer law issues. He has briefed and argued numerous motions in state and federal court. Blankingship & Christiano P.C. is a consumer protection law firm dedicated to providing results-oriented representation. Along with his colleagues, Mr. Christiano works with credit report lawyers in cases involving consumer protection, debt collection, and inaccurate credit reporting. In his time as a credit lawyer, Mr. Christiano has been admitted to practice in the Supreme Court of Virginia, United States District Court and the Eastern District of Virginia, United States District Court for Western District of Pennsylvania, and Fourth Circuit Court of Appeals. He has also been recognized as an AV Preeminent Peer Review Rated by Martindale-Hubbell. In addition, he is an active member of the Alexandria Bar Association and Virginia Trial Lawyers Association. The three credit bureaus, Experian, Equifax, and TransUnion, track your important personal and financial information. By looking at one or more of your credit reports, a prospective lender can tell at a glance whether you might be a trustworthy borrower based on the types of credit you use, how much credit you have available, and whether you pay your bills on time. Your credit reports also inform lenders of whether you’ve filed for bankruptcy. 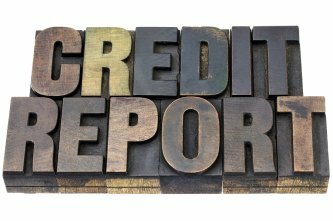 Your credit reports play a key role in your personal finances. Unfortunately, many people must consult a credit lawyer at a consumer protection law firm near Leesburg because of credit reporting errors. A credit lawyer can serve as a consumer advocate to help you fix credit errors. Credit report errors can have a dire impact on your finances . By adversely affecting your credit score, errors can lead to a denial of a mortgage application or other loan. If you are approved for a loan, you can expect to pay a higher interest rate. Sometimes, a credit report error may even indicate identity theft, which can take years to resolve without the help of inaccurate credit report lawyers near Reston. Credit report lawyers strongly recommend reviewing the information on each of your credit reports on a regular basis. Look for errors in your personal information, such as your address and the spelling of your name. Then, check the information for your accounts. Some common errors include the wrong credit limit or an incorrect origination date for a mortgage. Additionally, you may have already closed an account that is still marked as open in the report. An indicator of fraudulent account activity is the presence of an account that you didn’t open. Resolving credit report errors by yourself can involve a considerable investment of time. It’s often best to turn to a credit lawyer for assistance. Your attorney can help you in contacting the credit bureau or the information provider directly and demand that the error be fixed. If you’ve detected fraudulent activity, your lawyer can assist you in instructing the credit reporting agency to place a security freeze on your credit reports.